Join Mo’s Heroes and Papa John’s Pizza on Monday, July 6 to help our Veterans by doing what everybody enjoys doing, ‘Eating Pizza‘. 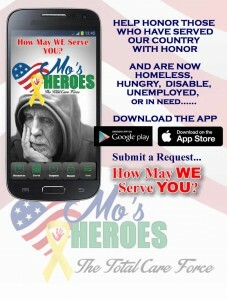 Mo’s Heroes and Papa John’s have teamed up to raise money for our Veterans and their families. Simply visit or call a Papa John’s Pizza in Hawaii, order your pizza, and send a photo of your receipt to Mo’s Heroes (mo@mosheroes.org). 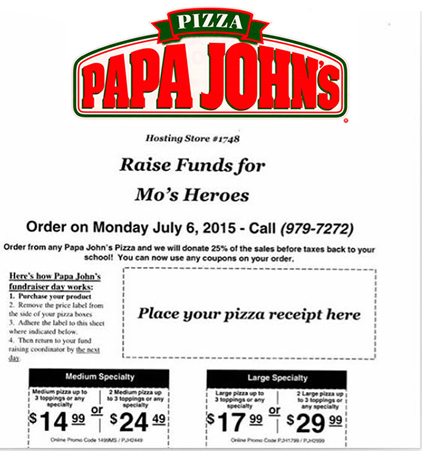 Papa John’s Pizza will donate 25% of your receipt to Mo’s Heroes. This offer is only good in the state of Hawaii.